Hair loss is a common problem that can affect the appearance of a person considerably. Balding or thinning of hair can occur due to a variety of factors including heredity, physical exertion, emotional stress, nutritional deficiencies, hormonal imbalances, pollution, use of hair care products containing harsh chemicals, allergies, and improper hair care routine. It is important to correct the underlying factors causing hair loss to ensure proper hair growth. Here are the home remedies you can use to treat hair fall and get healthy, long, and voluminous hair. Massaging with coconut oil is the most effective traditional method of preventing hair fall. 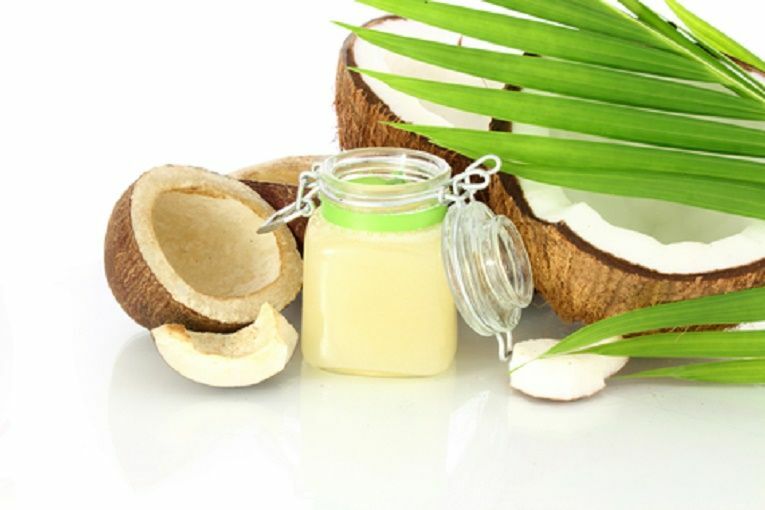 Coconut oil is highly nourishing for the scalp and hair roots and it allows for the growth of hair. Coconut oil ensures that the scalp is supplied with the essential vitamins that are needed for the healthy growth of hair. This property of coconut oil can be attributed to capric acid and Lauric acid present in coconut. Lauric acid is a form of triglyceride that helps in the production of a monoglyceride known as monolaurin. This compound protects the hair against the bacteria that can damage the scalp and trigger hair fall. On the other hand, Capric acid, which is a triglyceride too, acts as an antioxidant and protects the hair roots against the damage caused by any toxic products. It also acts as an antibacterial agent and prevents hair fall caused by infections. Apart from this, coconut oil also offers a rich source of vitamin E and fatty acids, which lock in the much-needed moisture into the hair thus preventing excessive dryness, which is a common cause of hair loss. As a natural moisturizer, coconut oil helps strengthen the hair roots and the hair shafts and prevents breakages. Take half a bowl of coconut oil and warm it slightly. Take a few drops of oil on one palm, rub it slightly with the other palm, and feel the warmth of oil. Apply the oil on the scalp and massage gently with your fingertips. You may apply a few drops of oil on one part of the scalp and massage the part and then, do the same to the other parts instead of massaging the entire scalp at one go. Make sure you apply the oil on the hair strands also to allow the moisture to lock into the hair strands. This will help strengthen the hair shafts. Keep massaging the scalp with gentle circular motions for about 15 to 20 minutes. This can help to improve the blood circulation into the scalp and allow for a better supply of nutrients to the hair roots. Then, take a clean towel and dip it in warm water. Wring it out to discard the excess water and place it on the freshly massaged head such that your entire scalp is covered. Make sure the towel is just slightly warm and not too hot. Keep the towel on your head for 30 minutes and then, remove it. You may wash your hair after about 30 minutes. Repeat this two to three times a week. Alternatively, you can massage the hair with coconut oil in the night before the bedtime and leave it overnight. You can wash the hair the next day morning. Indian Gooseberry or Amla is another effective natural remedy for hair fall. It provides a rich source of vitamin C that helps improve the immune system and thus, prevents the allergic conditions of the skin of the scalp, which can trigger hair fall. Most people have an allergy to the chemicals used in the hair care products and develop intense itching, inflammation and redness of the scalp due to which there is damage to the hair roots making them weak and prone to breakage. Amla, with its vitamin C content, helps to protect the hair from this form of damage by boosting the response of the immune system to the allergens. Amla also contains powerful antioxidants and flavonoids, which protect the hair roots and hair strands from the damage caused by free radicals and other toxins. The fatty acids present in amla can help to provide nourishment to the hair while also keeping them well moisturized. Eating Indian Gooseberry or applying its oil on the scalp cannot only give you longer and thicker hair but can also prevent the premature graying of hair. Mix about 250 grams of amla powder in 4 liters of water and bring this to boil. Allow it to boil further on a low flame to prepare a decoction with a quantity reduced to the one fourth of its original amount. Keep stirring while it boils and put off the flame when about 1 liter of this mixture remains. Then, take 100 grams of amla powder and add to it water just enough to make a thick paste. Add 500 ml of coconut oil to this paste. Mix into this the previously prepared amla decoction. Bring this to a boil and heat it for a few minutes. Keep stirring as the amla powder has a tendency to stick to the bottom. Continue boiling on a medium flame until the water is completely evaporated. You can know that the water has evaporated when the oil starts separating from the muddy and powdered form of amla. To confirm, take a spoonful of amla paste out from the boiling oil and bring the spoon close to a flame of another burner. If the mixture makes noise and splutters, it would mean some amount of water is still present in the mixture. Keep on heating until the fluttering sound does not appear anymore when you test the paste. Finally, when the amla powder starts forming a hard crust-like structure with all the oil separated, you can filter it while it is still hot to get the yellowish oil that gives away the aroma of amla. You may use a soft cotton cloth to strain it. Store this oil in a jar. Use it to massage your scalp twice or thrice a week. The hibiscus flowers contain natural emollient and loads of vitamin C. It acts as an astringent and a moisturizing agent. Hence, it is considered suitable for both types of hair, dry as well as oily. It prevents the thinning of hair and breakage caused by the dry tangled hair by keeping them well moisturized. Hibiscus flower also contains mucilage, a slippery extract that can detangle the hair and soothe the dry scalp. Take two to three Hibiscus flowers and leaves, and crush them using mortar and pestle to get a paste. Pour half a cup of coconut oil in a small bowl and add the crushed herbs to this. Boil this mixture for about 5 to 10 minutes. Then, strain the oil and allow it to cool down. Take a few drops of this oil on your palm and massage the scalp and hair with it using your fingertips. Lack of nourishment is a very common cause of hair loss. Unhealthy eating habits and the lack of balanced nutrients in the diet can make the hair weak and prone to breakage. Honey can help in preventing this by providing the nutrients needed for the health of hair. It can be applied directly to the scalp and hair to ensure proper nourishment and achieve good hair growth. Honey contains several vitamins and minerals. It also acts as a humectant. It attracts moisture thereby keeping your hair well hydrated. This helps to prevent hair fall caused due to dryness. Mix one tablespoon of Honey, one or two tablespoonfuls of dried Sage and half a tablespoonful of olive oil. Add to it half a cup of water. You can use this mixture to massage your scalp. Apply it on the scalp and the hair strands with your fingertips and massage for at least 5 minutes. Leave for half an hour and then, wash off your hair with any herbal shampoo. You may use coconut oil instead of olive oil to prepare this mixture. Avocado is a powerhouse of several vitamins and proteins. It contains vitamin A, B, D, and E. It also contains several essential minerals like magnesium, iron, and copper as well as amino acids and folic acid. The rich content of these nutrients makes avocado a potent natural remedy for treating hair fall. It provides nourishment to the scalp and hair roots and strengthens them. Regular use of this remedy allows the hair to growth longer, thicker and healthier. Take one or half of an Avocado and take out its pulp. Mash it well and add to it egg white of one egg. Add 2 tablespoonfuls of Honey and a few drops of olive oil to this mixture to make a hair mask. Apply this hair mask to the scalp and the hair. Leave it on for about a half an hour and wash it off. Repeat 1 or 2 times a week. Another effective way of using avocado is to mash up one avocado and one ripe banana to prepare a hair mask. Apply this mask evenly on the entire scalp and massage gently. Leave it on for 30 minutes and rinse off with a mild shampoo and conditioner. Use this treatment once a week. Onions can be used to control hair fall that occurs due to allergies, and infections. It is a powerful antioxidant, which protects the hair roots and scalp from the damage caused by chemicals used in hair care products, free radicals, and environmental toxins like dust. It also acts as an antibacterial agent and destroys the bacteria that can cause damage to the scalp. Onions have a high amount of sulfur. Sulfur can improve the hair growth and prevent hair fall by increasing the blood circulation to the scalp. It can also make the hair stronger and healthier by opening up the pores of the hair follicles. Blockages in these hair follicles due to dirt, oils, or infective germs can trigger acute hair fall. Onions, by removing these blockages, can help in preventing hair loss. Onions also boost the collagen production in the scalp tissues, and assist in the growth of hair. Take two or three Shallots or red onions and cut them into small pieces. These onions have higher sulfur content in them; hence, are preferred for treating hair loss. Crush the chopped onion using mortar and pestle to extract the juice. Apply this juice directly on the scalp and leave for about 15 to 20 minutes. Then, wash it off with herbal shampoo. Essential oils are highly effective in managing several health issues including hair loss. They can also be used to prevent balding and premature graying of hair. Rosemary oil is commonly used for treating balding or hair fall caused due to the advancing age. It works at the cellular level and builds the tissues by increasing cell division. It expands the blood vessels and thus, improves the blood circulation into the scalp and hair roots. Lavender oil and cedar wood oil have been used traditionally to cure alopecia areata, a form of hair fall that occurs in patches. 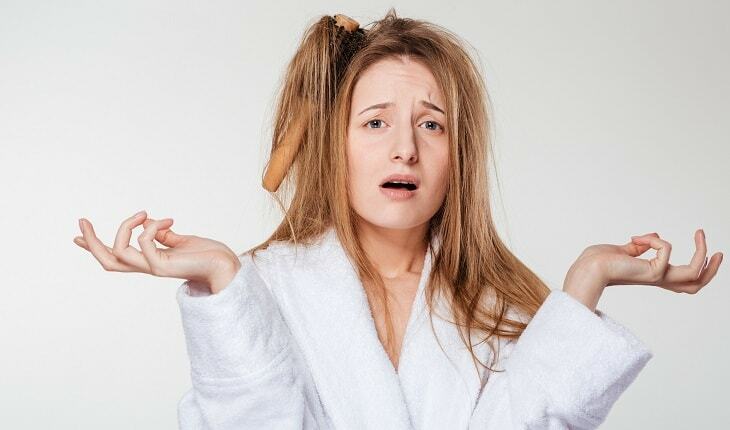 This condition occurs when the faulty immune system attacks the hair roots and damages them. These oils can help in controlling the underlying malfunctioning of the immune system and thus, prevent hair fall while also promoting the growth of hair. Jojoba oil acts as an excellent moisturizer and keeps the hair hydrated thus preventing hair fall caused by dryness. It can moisturize the scalp deep down until the hair follicles. Jojoba oil also improves the blood circulation and repairs the damaged hair. Mix 2 drops each of Thyme oil and Atlas cedar wood oil in 3 drops of Lavender oil, 3 drops of Rosemary oil, half a tablespoon of Jojoba oil, and 1 tablespoonful of Grape seed oil. Massage your scalp with this blend for about 2-3 minutes, preferably at night. Leave it overnight and wash it off in the morning. Licorice acts as a soothing agent for the dry and irritated skin of the scalp. It improves the blood circulation in the scalp. It also opens up the pores of the scalp and allows the nutrients to reach the hair follicles and shaft thus stimulating the hair growth. Mix 2 tablespoonfuls of Licorice powder in 4 tablespoonfuls of milk. Add to it a few strands of saffron and mix well. Apply this paste on the bald patches of the scalp or to the areas where the hair is thinning. Leave it overnight and wash it off in the morning. Egg contains the vitamins and minerals needed to nourish the scalp and the hair roots. It provides a high amount of proteins that can promote repair of the damaged scalp tissues, keep the hair thicker and promote the growth of new hair. Proteins in eggs also make the hair stronger thus reducing the risk of breakage or other hair problems like split ends. Beat two eggs in a bowl and whisk them well. Apply it all over the scalp and the hair. Let it sit for about twenty minutes. Then, rinse it well with the help of a mild shampoo. Make sure to get the odor of eggs out of the hair. Use this remedy at least three times a week for best results. Orange juice can promote the growth of hair, make them thicker, stronger and voluminous and provide a refreshing smell. It promotes the hair growth, and keeps the scalp well hydrated. It is also great for treating premature graying of hair and dandruff. Take one orange, peel it off and slice the pulp. Grind the pulp in a food processor to get a fine paste. Apply this paste on the scalp and your hair and leave it on for ten to twenty minutes. Do this once a week to get fuller, and thicker hair. The results are noticeable within 2 to 3 months. Alternatively, you can apply a mixture of apple puree and orange juice to the scalp and hair to get naturally thicker hair. Apply this mixture and leave it for thirty minutes. Do this once or twice a week to promote hair growth. Hair fall is considered a very difficult and sometimes, an impossible condition to treat. The modern system of medicine does not offer any effective treatment for managing this problem. However, the immense medicinal power of nature has made it possible for us to overcome hair fall. These remedies are effective for women as well as men and can help them improve the growth and volume of their hair. Additionally, since these home remedies contain herbs and other natural ingredients, they do not cause any side effects. They are devoid of any harsh chemicals. Hence, they can be considered safe even for the people with sensitive skin.